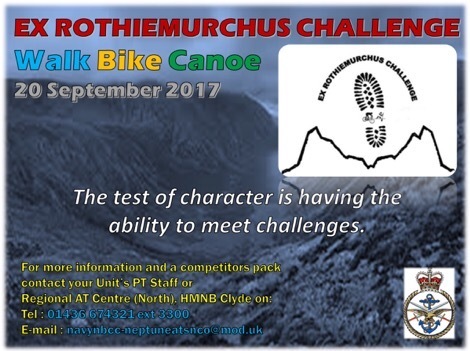 The Rothiemurchus Challenge this year will be held at Rothiemurchus Lodge, Aviemore on Wednesday 20 September. The Adventurous Training (AT) challenge will consist of Mountain Walking, Mountain Biking and Open Boating elements. The event is open to all service personnel and is a great opportunity to get your department away to take part in AT through a challenging event.